Korea Vow to come back Stronger! South Korean coach Kim Ji-hyun was disappointed that her team failed to dethrone China in the mixed team event final in the 19th edition of the SCG Badminton Asia Junior Championships in Bangkok on Tuesday. 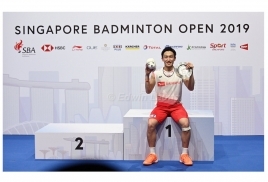 Still, the former Korean international was able to smile and gave credit to the mighty Chinese for winning the title for the fourth time in a row - each time defeating the Koreans in the final since 2013. "We need to work harder. There is a lot of work to be done but we have made some inroads in the game at junior level. The defeat (3-1) in today's final will give us inspiration to come back stronger...there is always another time," said Ji-hyun after the final. 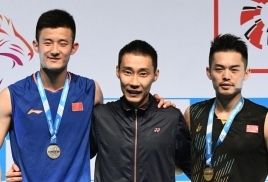 A big dose of inspiration can be drawn from Korea's inspiring performance in the boys' doubles through Kang Min-hyuk-Kim Won-ho who won 24-22, 12-21, 21-19 over China's Han Chengdai-Zhou Haodong for the team's solitary point after China took a 2-0 lead by winning the mixed doubles and the boys' singles. Even China team manager Ding Ke painted a glossy picture for the Korean pair and said: "This pair (Min-hyuk-Won-ho) has a bright future. They can go far in their game." However, in the same breath, Ding Ke was quick to say: "We are still the best overall in the mixed team event. Except for the boys' doubles we were never worried about our supremacy in the rest of the events. "We have made it four in a row and we will be eyeing the fifth (mixed team) title next year. Our junior development programme is on track," she added. With mixed team event completed the focus will now switch to the individual events which get underway on Wednesday.